There are a lot of creepy children films, some good, some bad and a whole bunch in the middle. A Hole In The Ground firmly falls into the good category. Sarah O'Neill and her child Chris move rurally to escape Sarah's past (and ex). Sarah meets the next door neighbour in a tense situation and whilst that unnerves her, Sarah and Chris discover a huge sinkhole and for some reason this makes her even more uneasy and she tells Chris not to go back there without her. 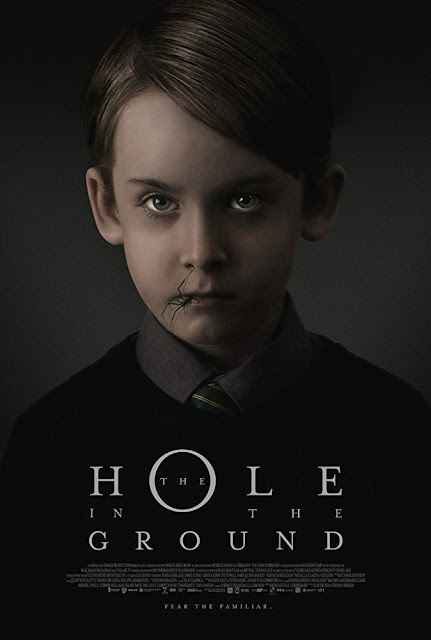 After Chris goes missing and subsequently found, little by little Sarah begins to suspect that Chris is not ok and that the sinkhole is responsible somehow. Is Chris really Chris or is Sarah starting to crack under the stress...? A Hole In The Ground builds its tension, like a builder would put a wall together. Lee Cronin adds bricks of tension, piece by piece until before you realise it, you are surrounded by the tension. The atmosphere created is just perfect for this kind of film, everything works together to keep upping the stress. The tricks that Cronin uses aren't ground breaking but they are executed superbly. There is a great scene filmed from under the door peering into Chris' room that is shocking, creepy and fully effective. 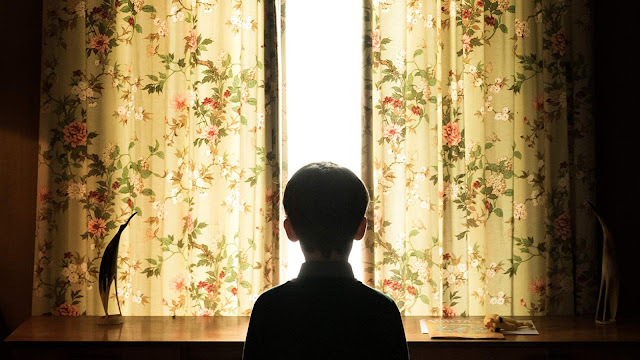 Kerslake is great in her role as the exhausted mother, who goes from worried to suspicious about her child and Markey is yet another child actor that is very talented and he just nails his role, being able to just give a look that signifies that perhaps something is wrong but perhaps it's just your imagination. I don't know where are these talented child actors are coming from but they are certainly doing great things especially in the horror space. A lot of the creepy child films don't manage to stick the landing but I was very impressed with the climax of this film, it just went for it and ended up giving the audience some great visuals. 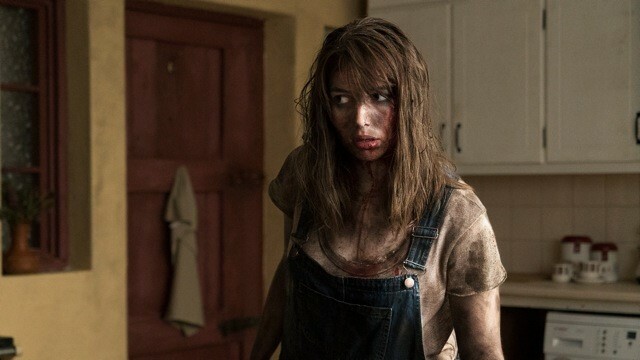 A great little horror film that is audacious in what it tries and succeeds to pull off.